Follow our Tumblr to see updates on the project. OR click here to see documentation of performances. 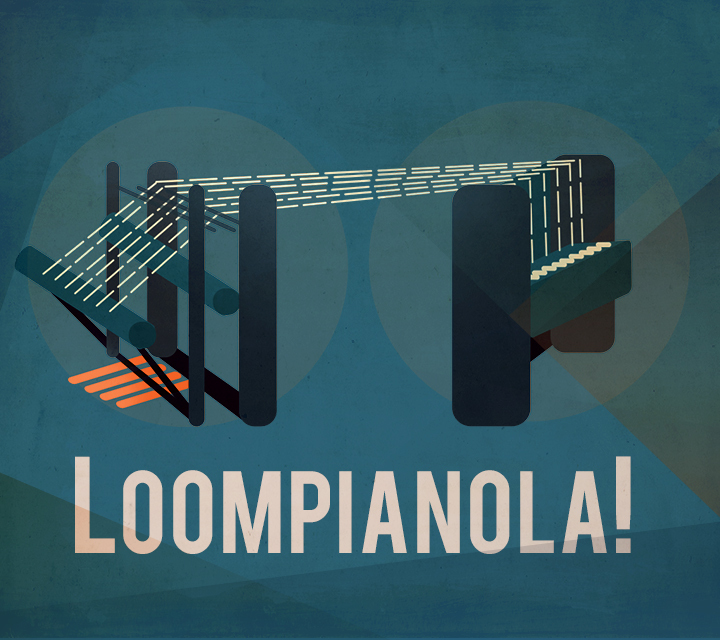 Loompianola ﻿was conceived from a fascination with the shared lineage of a loom, a piano, and early computers. The Cranbrook Loom and Grinnell Brothers Player Piano each form a strong link to the ingenuity and industry of southeast Michigan; as a hybrid object, their taut strings pluck at each other’s original function and meaning. When activated by performers, the loom's warp and a piano's array of strings create music that is altered as the tapestry accumulates. Sensory technology embedded in the object activates a synergy of sonic, laborious, and playful movement. Drawing on the tradition of chamber music, “a musical conversation among friends in the home,” Loompianola fosters dialogue between not only distinct objects but three artists of various backgrounds: Collin McRae, an experimental musician and animator, Esthir Lemi, a composer, musical theorist, and new media artist, and Reed Esslinger, a performance artist and weaver. Like any organic conversation among friends, the language of Loompianola emerges organically from its operators.